After complaining about not being able to see the board clearly at the end of the school year in June, my son starts school today with brand new eye glasses. Most of our family wear glasses of some sort -either strong prescriptions for all the time, or light ones just for reading. It seems Ian’s eyes need them for distance, like his dad. So it was time to get him into a cool new pair of eye glasses fit for an active boy. 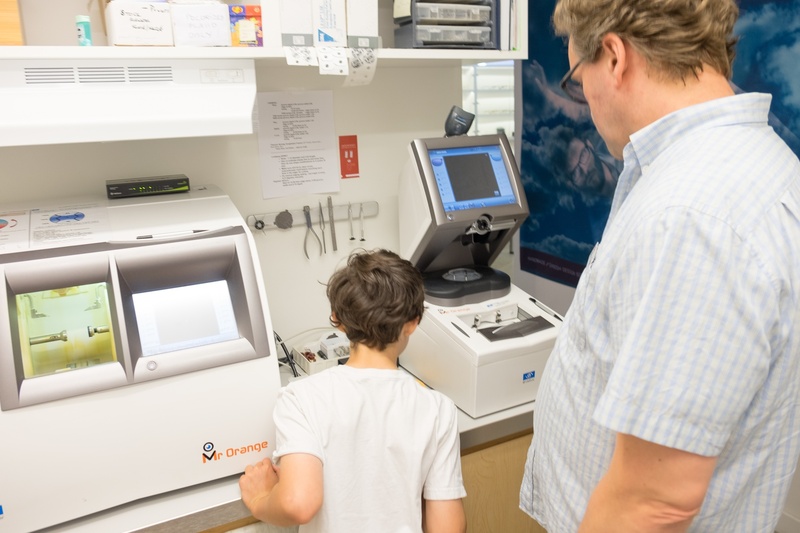 Our neighbourhood optician, who’s been making my husband and I glasses for over 20 years, carries a line of frames that specializes in flexible titanium frames for both adults and kids that bend and won’t break under pressure. They also have all the machinery to make the glasses in-house, so Ian got a special tour of the back room to see where his glasses were being made. 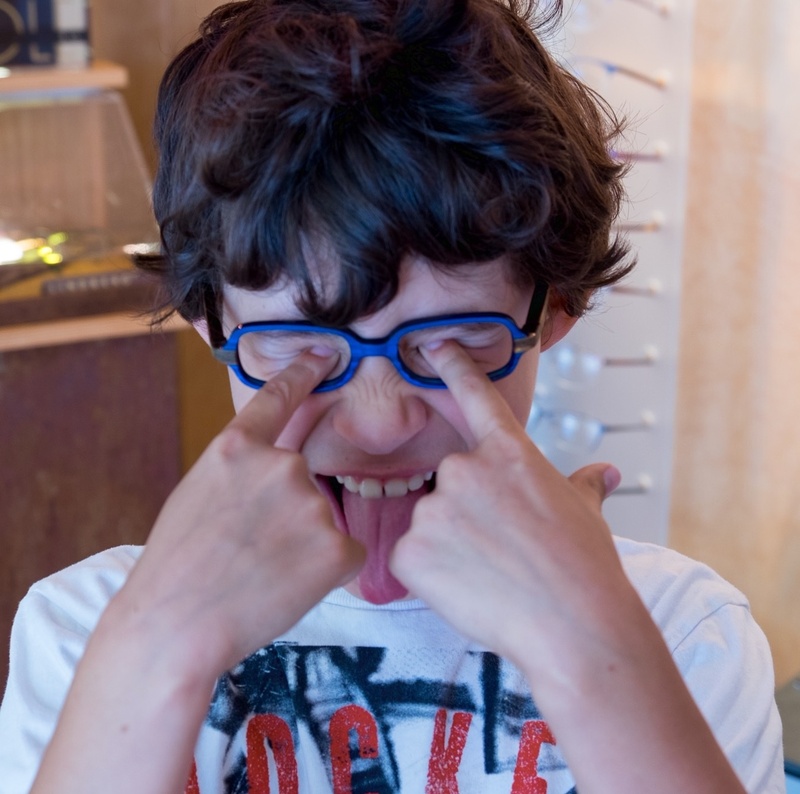 Ian was really excited the whole time we were trying on frames and measuring his face and touring the shop. He’s learned how to take care of his glasses at home this summer, but now I’m admittedly nervous for the start of school days with energetic playground games and running around. Fingers crossed! 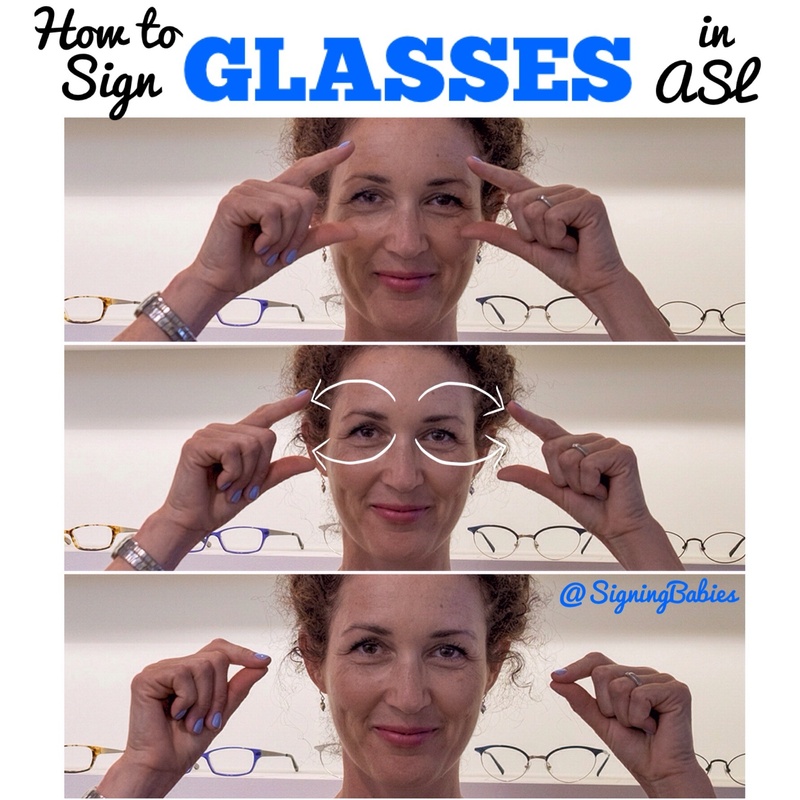 To sign GLASSES in American Sign Language, hold index fingers and thumbs around eyes and trace the shape of eye glasses, pulling fingers and thumbs outwards to connect. I love that you got to do a tour in the back! He looks great in his new glasses! The tour was pretty special! They really like kids there. Thanks, Michelle! He always keeps us chuckling.